Teams are a critical component to an organization's ability to innovate at scale. Learn about the past, present and future of teamwork in enterprise organizations and what is necessary for success. We'll discuss the challenges of scaling an organization and provide advice on how your team can navigate the complexity of today's business world. Dom Price is the head of R&D and work futurist at Atlassian. 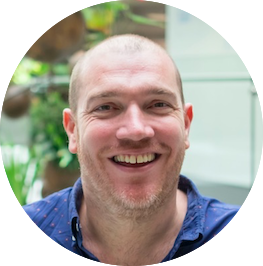 Dom manages planning, execution and operations for Atlassian's five global R&D centres, and is responsible for leading the company's global innovation programs and workplace practices for its more than 2,500 employees. Dom is passionate about discovering patterns and creating playbooks that transcend cultural differences to help teams work together in the most efficient, productive way possible. His work is helping to define the way the teams and companies of tomorrow will work.